was initiated by Pam St. Pierre, a Vernon Yacht Club member and avid sailor and keelboat racer. 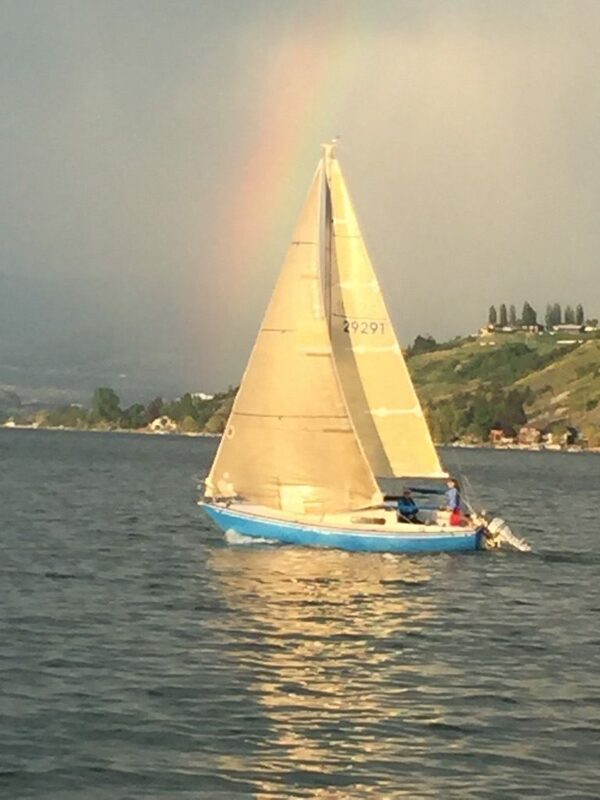 Pam brought her boat, Little Miss Magic, up to Transport Canada’s requirements for running a sailing educational program and will be following the Sail Canada curriculum when hiring instructors to run the courses. Okanagan Watersport School has a simple Three-Step program to get you on the water to building your confidence to skipper a vessel. All Courses taught by Sail Canada Instructor and high school teacher Eric Martinen. All ages welcomed. No experience required. Avoid getting fined and keep your spouse, family and friends safe by learning safe boating skills. Intro to Boating – gets you to experience the joys of sailing through a two-and-a-half-hour experience. No experience required. All ages welcomed. Cost – $200 per couple, booked as private lesson as demand varies. Start Keelboat Sailing – teaches you proper crewing skills needed for racing or for a day or weekend adventure cruising on lakes or oceans. No experience required. All ages welcomed. Cost – $275 per person, 2-person minimum, 4-person maximum. Competent Keelboat Skipper – builds on your Step Two knowledge to build your confidence to skipper a vessel. Can you helm your vessel to pick up your beloved spouse or friends should they accidently fall overboard? This course teaches you how, and build your confidence to perform as an entrusted skipper. This is a thorough sailing course. Pleasure Craft Operator’s Card (PCOC) can be taught in conjunction with this course for an additional $100 including exam fees. No experience required. All ages welcomed. Cost – $750 per person, 2-person minimum, 4-person maximum.